Being in the software industry you may have often heard the term code review. However, the concept of code reviewing is often misunderstood. Often it is overlooked in the software development life cycle as people feel performing testing should suffice the validation process. And so, they tend to turn a blind eye towards the code reviewing process. However, neglecting code reviewing process could bounce back with major consequences to deal with. We also have a misconception that code reviewing process is a responsibility for the development team alone. It is not! Code reviewing is a process that should involve not only developers but QAs and product managers too. 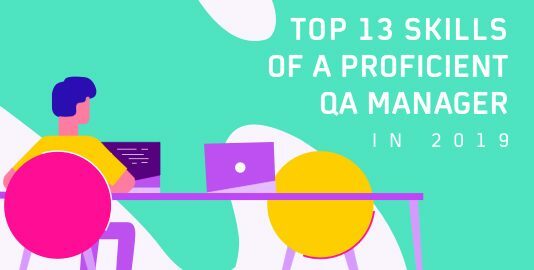 This article is my attempt to help you realize the importance of code review and how as QA you should be participating in it. We will also look into code review best practices and code review checklist for automation testing using Selenium WebDriver. The main objective of code review is to detect mistakes, catch early bugs and ensure that the code follows the standard practices. It can be termed as a two-way communication where both the coder as well as the person who reviews the code learns from one another and remove any potential mistakes which may later impact the product. Working in an Agile environment, you may often underestimate the significance of code reviewing process. You may think code reviewing is going to be time-consuming, especially when you are running short on deadlines. However, this is where it becomes all the more important. The sooner you review the code and eliminate any blocker or bug possibility for later, the sooner you are able to deliver the product as per the release process. 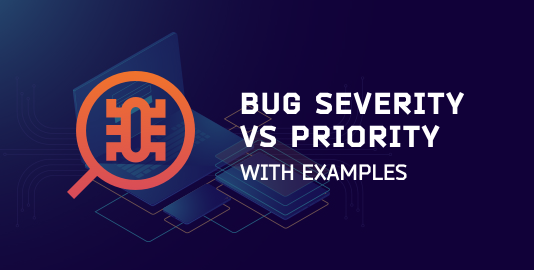 Finding bugs later in the release cycle or post migration into production would rather turn out to be more expensive and time-consuming. This is why organizations are now following a modern methodology of Shift-Left Testing where you incorporate testing right from the client’s requirement gathering phase. Why Code Reviewing Is Inevitable? If you believe code reviewing isn’t required as long as you are testing then the below-mentioned benefits may sway your mind towards thinking differently. Early Bug Detection: When bugs are detected at a very early stage in the development phase, it reduces a lot of time during the testing phase. The overall process becomes a lot inexpensive. Although nowadays, automation testing reduces the testing effort and time spent, still, there is no better gift than the human nature of detecting and correcting mistakes committed by others. Mentoring Juniors: When a fresher joins a project, seniors may not have much time to mentor or guide the junior about the coding practices or train them about how they do their job. The ideal solution in that scenario for a senior developer is to spend at least 20-30 minutes in reviewing the code written by the junior. Regular feedback will allow the fresher to develop his/her skill in coding. Age of Agile: Nowadays most organizations follow Agile methodology and require to deliver quality work in time. Code review will enable the organization to develop a quality prototype, free from defects and developed following the standard protocols. For starters, Code reviewing and testing, both are best practices to be included in a software development life cycle. However, both are unique in their own ways and must not be confused. It would be wrong to think that you don’t need code reviewing because you have testing in your SDLC or vice-versa. Code review involves inspecting the code which may or may not include checking for bugs. It involves checking whether the style of code is under compliance by all policies, whether there is any breach of security and most importantly, whether the code can be understood easily or not. The goal is to check whether the code is simple, follows all policies and standards and most importantly, serves its purpose. Hypothetically, code review can replace testing. In case of a very small application, if more than multiple reviewers carefully go through the code, they may identify the sections that may raise a defect when unit testing is carried out. Only hypothetically, not realistically. Testing, either manual or automation often follows a fixed approach to check the application flow and find out whether anything is behaving like the way it is not supposed to. I’ll share my personal experience. Our team was working on a large dynamic web application. After the final testing phase, the entire application was satisfying every user requirements. However, there was one problem – the loading time. Even in the fastest network connectivity, the application took 4-5 seconds to load. By going through a code review phase, we found out that the CSS and scripts were a lot complex and they can be minimized by a few hundred lines. Doing so, we reduced the loading time to 2 seconds. Thus, it can be concluded that realistically, both code reviewing and testing are integral parts of a software development phase and can never fully replace each other. How To Participate In Code Review As QA? Code review is considered to be a part of static testing, an activity to be conducted mostly by quality analysts to find out whether any bug can be spotted earlier, before the testing phase starts. If the testing team actively participates in code review, it saves a lot of time. You may wonder how to get started with code review when you are into testing and do not have any experience with development. But the fact is, code reviewing only requires your observational skills, not your coding proficiency. 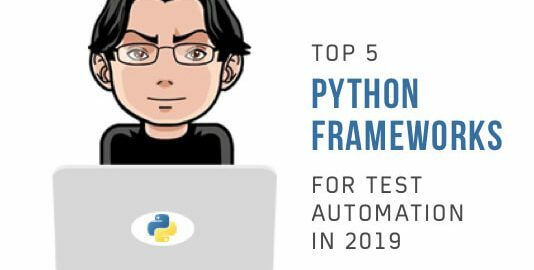 For starters, you may start with automation scripts. Try to look for minor bugs that may result in an incorrect testing sequence. Parallelly whenever you have time, go through the repository of your application and try to understand what the developers did there. Initially when testers get the opportunity for code reviewing, pairing with someone who is experienced makes the task a lot easier. Although the numerous lines of code initially does not make any sense, keeping up with it enables the quality analyst to find a pattern and slowly they get accustomed to the codebase and finally a time comes when just by looking at a certain section of the application they can clearly state what business logic is implemented in that section. Finally, remember one thing. You are not required to be an expert coder for carrying out a code review session. Anyone with basic coding knowledge can review code. You are only needed to take a look at the changes and ask what, why and how a thing is done. Start with small changes and learn more about them and wherever you feel about any discrepancy, comment it and ask the coder to clear your doubt. And if you are managing the entire project, make sure to include code reviewing and testing as mandatory phases to carry out during any software development life cycle. This will ensure that a quality product is delivered and your organization’s reputation is maintained. Let’s get started with how you shall review the code. Depending on the size of your application, there are 2 types of code reviews you may carry out. Over the Shoulder: Here, a developer looks at another’s code while the later walks the former through the code, explaining what is done in it. 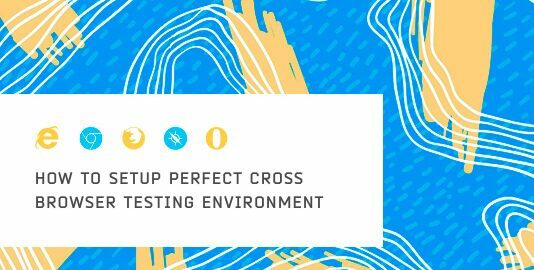 Although there are certain best practices which we shall discuss later, that will result in a flawless code review, if you are conducting automation testing with Selenium WebDriver for cross browser testing of your website, there are certain factors to check while reviewing your code. Include Your Entire Team: No matter how senior or experienced your programmers are. Everyone must review the codes along with getting their codes reviewed. The performance level will increase relatively when they will know that their code is going to be reviewed. Try to include an architect along with a developer while reviewing the code. Both of them will detect different issues, while will ultimately impact the overall application’s design. Once we worked on an application where the use of certain styles was restricted since the application was meant to run perfectly in an older version of Internet Explorer, the browser that has caused pain to developers worldwide for its incompatibility with all the latest web technologies. After weeks of coding, a review session was carried out and it was found that while writing the CSS, at certain sections in the code, we missed out browser specific vendors. Corrections were made immediately after which, the application went to the testing phase. Needless to say, it passed the browser compatibility testing flawlessly. If the code review was not carried out, defects would have been caught during cross browser testing, subsequently putting the developers in a kind of rush to find out what caused the issue. Nurture a Positive Environment: From a managerial perspective it is important to maintain a positive work culture, as a part of code review best practices. A positive environment could be very helpful when the code is reviewed. It doesn’t matter who caused the bug. What matters is that the bug has been caught and fixed. Praise the correspondent person and overall it will help in maintaining the product’s quality.